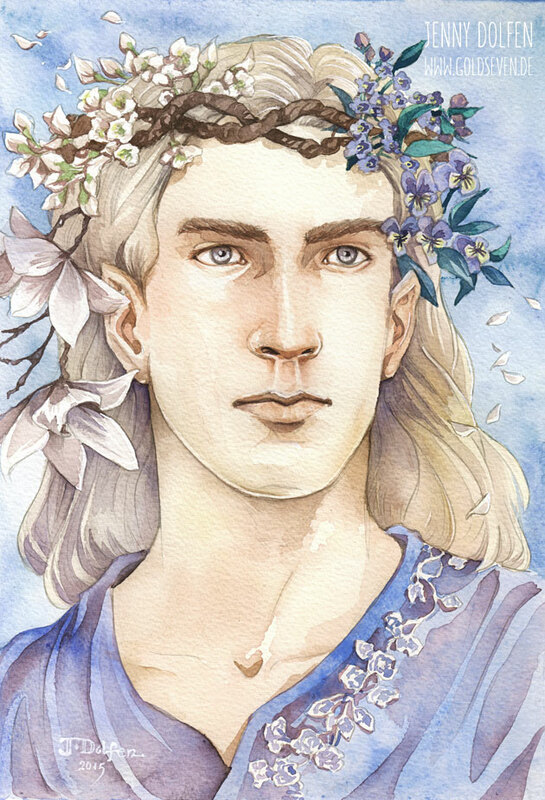 The third in a series of four seasonal Thranduils – the last remaining will be summer. Flower-wise, spring is my favourite season, and I really enjoyed the magnolias, cherry blossoms, forget me nots and johnny jump ups in his crown. Watercolour and a bit of gel pen on Canson Fontenay cold-pressed paper, 20×29 cm.